Here’s a little trick you can use to see if someone actually drives their car. And by that I mean, drives it around corners like they stole it. Look for heat-cycled tires. Firstly, take a look at the photo. This photo clearly shows heat-cycled tires. You can see the feathering happening on the tires’ edge. It looks a bit bubbly and rough. This type of feathering is not the same type that occurs when you have alignment problems. What you see here are heat-cycled tires that come from taking lots of corners at lots of speed. These particular tires are the ones on #RallyFist. Unsurprisingly, since the Ford Fiesta ST is a corner eating machine. 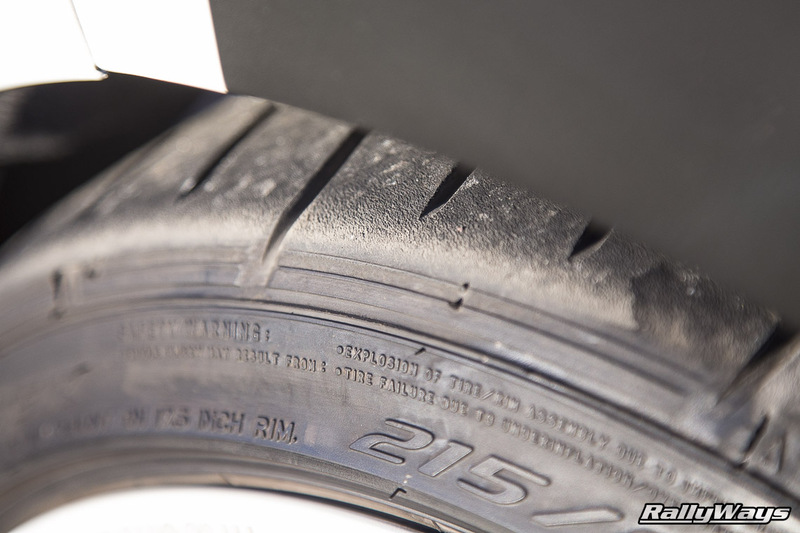 Furthermore, it helps that these are really sticky Falken RT615K. You will see heat-cycled tires like this on autocross cars and track cars. The tire wear on track and autocross cars will be a lot worse. On cars of this sort, it’s not just rough feathering — You will see what looks like melted rubber and pretty bad bubbling. This depends on how hot the tires got when on track. 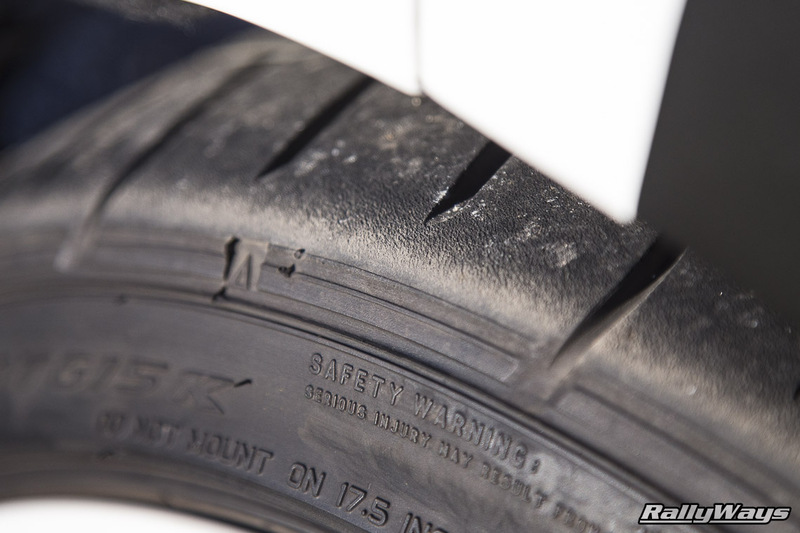 While heat-cycled tires are a normal thing in spiritedly-driven cars, really severe tire heat-cycling can lead to permanently affecting the tire. In extreme cases, badly heat-cycled tires will never grip the same again. Next time you are at your local Cars and Coffee, take a look around. Go and look at the tires of the vehicles in attendance. You will see a lot of garage queen tires that have never gotten hot. Then you will see the tires of some of those folks that actually drive their cars. Finally, with a little bit of patience, you will be pleased to see the special breed of heat-cycled tires. When you find them, you will know. These will be the tires on the avid track and autocross drivers’ cars. You can’t miss them.